The alarm can fail to continue to chirp when it reaches its seven year end of life if the batteries are replaced, leading consumers to believe it is still working. This poses a risk of consumers not being alerted to a fire or CO incident in their home. 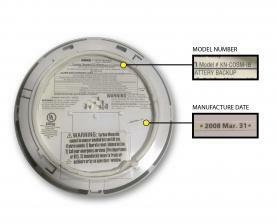 This recall involves Kidde NightHawk talking combo smoke/CO alarm with model number KN-COSM-IB and manufacture dates between June 1, 2004 and December 31, 2010. The alarms are hard-wired into a home’s electric power. The unit has a compartment on the back for the installation of a replaceable 9V backup battery. The alarm is white, round and measures about 5 to 6 inches in diameter. 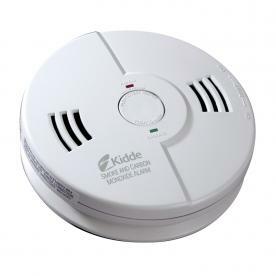 “Kidde” is engraved on the front of the alarm. “Kidde,” the model number and manufacture dates are printed on a label on the back on the alarm. 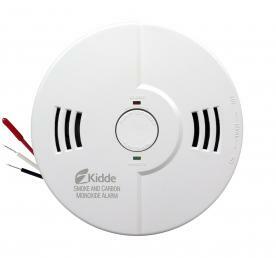 Consumers should immediately stop using the recalled alarms and contact Kidde directly for a free replacement alarm based on date of manufacture or a discount on a new alarm.